No I’m not talking about cricket, I’m talking about rugby league, highlighted by a match between the Melbourne Storm and the Cronulla Sharks where 33 penalties were blown, and Cameron Smith, captain of the Storm, Queensland and Australia was binned for 10 minutes for dissent. I didn’t see it, but I understand Smith made very clear that he did not think he should go. The fact is that teams had been coached to cheat for years. The NRL had reached the point where they either had to enforce the rules or change them. Players were not standing up before they played the ball, then simply rolling it between their legs. The defending players, back the mandatory 10 metres, were taking off before the ball had cleared the ruck. If everyone played by the rules, the game would look cleaner, tidier, and would be more open. However, players had been coached to ignore the referees, who typically gave a couple of penalties, then put the whistle in their pocket. The public called for consistency. Now they are getting it, some don’t like it. However, if the referees give in now, then we may as well give up on the rules. Bennett wants his players to play by the rules. Seems like a good idea! Americans are talking about whether Melania should dump Trump. As usual, she’s saying nothing and Trump’s approval ratings have improved 7 points to 42. Go figure, as they say over there. Spit is not deemed an artificial substance, but spit while sucking a lolly is. Cameron Bancroft committed the crime, which was hatched by David Warner and approved by captain Steve Smith. My understanding is that David Warner was the designated ‘ball manager’ and while he was fielding in front of the wicket Australia was getting ‘reverse swing’ about 20 overs earlier than any other team could manage. The South Africans had tipped off the TV folk to watch what he was doing with something wrapped around his wrist. However, the Aussies missed some slip catches, so Warner went to field there. Then the plot was hatched to use sandpaper they have for maintaining their bats. As the SMH points out ball tampering is not new. Mike Atherton did it as captain with dirt in his pocket. When Sachin Tendulkar did it, the Indians wanted to sack match referee Mike Denness. South African captain Faf du Plessis did it in 2013, was penalised half his match fee, and again in 2016, got penalised his whole match fee, but lost no game time as he went on his merry way. Vernon Philander, currently playing, also did it. In the first innings of that very match the South Africans produced reverse swing from nowhere. The Australians suspected wicket keeper Quintin de Kok was working the ball with his gloves. If that’s true then the South Africans’ answer was to dob in the other mob and work out a better way of cheating they could use while everyone was looking elsewhere. That’s why Steve Smith thought it was only a minor bump in the road. How wrong he was. The ICC thinks the action taken by Cricket Australia was disproportionate. They thought the match fee and standing down for one match was the go. This time there was a pack of pompous, opinionated Australian journalists screaming for immediate assassination, and we the public were not too impressed either. Truth is, the Australian team was on the nose in the way they conducted themselves generally. Faf thinks Steve Smith was one of the good guys, and extended his sympathy and support. He thinks the penalties were too harsh. So does Shane Warne, who was banged up for a year for taking diuretics recommended by his mum, not to enhance his playing performance, rather to enhance his looks. My wife says it didn’t even work in that regard until Liz Hurley knocked him into shape. Warne termed the CA reaction as “hysteria”. The best commentary I heard was from Greg Rowell who works with the QCA to support junior cricket. He said that for years, mums and kids had to be convinced it was good and wholesome to play cricket in spite of the Australian team, not because of it. The team was majorly on the nose. He said how you play is more important than winning (former coach John Buchannan said winning was the bottom line, how you play comes second) and that you can be aggressive with respect and gracefully. Like Roger Federer, netball teams such as the Queensland Firebirds, and indeed the Australian women’s team, who have just won the T20 tri-series with India and England, posting a world record 4-209 in the final. Rowell said the further you went up to the elite level, the worse it got. Warner has now cried, as has Darren Lehmann. Warner has said that the incident raised the question of who he was as a man, and that he would seek help and advice to make serious changes. I was impressed with that, but journalists ignored it. Now all we need is a new coach like Justin Langer or ‘Dizzy’ Gillespie to change the cricket team’s culture. Intrinsically decent people, who support players and have a successful coaching record. Plus sack the bozos at CA for their reactive management and bullying pressure on the team to perform or else. I understand that after the Australians were beaten by South Africa in Tasmania in 2016, ‘high performance manager’ Pat Howard (what does this man actually do?) and one other flew down, yelled at the players, told them their performance was simply unacceptable. Then five were sacked from the team. The latest is that Smith did not approve the ball-tampering plan, he said he didn’t like it, but failed to stop it without knowing the details of the plan. Lastly, world cricket needs to take this opportunity to set new standards for on-field play and Australia need to lead the way and gain respect from everyone and give all the young boys and girls a reason to want to play cricket and be proud of our national team. Mark “Tubby” Taylor reckons cricket needs a red card system to put umpires back in charge of the game. Send them off like soccer does even if their name is Rinaldo. Makes you proud to be an Australian. That’s Peta Credlin’s lead from cricket to what she thinks of Malcolm Turnbull. She reckons he schemed, plotted and backstabbed that great man, duly elected by the Australian people, Tony Abbott. Be that as it may, Turnbull’s Newspoll numbers continue to be problematic. TPP it’s still Labor at 53-47. However, Labor’s primary vote is up one, which means it has gone from -7 to +2 against the LNP since the last election. On who is doing a good job, Shorten is now on 34 to Turnbull’s 32. On preferred PM this year Shorten has closed the gap from 45-31 to 39-36. That’s from the beginning of February to late March. I think Turnbull perverts the truth just about every time he opens his mouth. It started seriously when in February 2016 he said Labor’s negative gearing plans would “smash” the housing market. He knew that wasn’t true. I understand we give our companies more concessions than they get in other countries, making the effective tax rate around 21%. And the side deals Matthias Cormann has authorised are an offence to democracy. Anything it takes. Previous PostThe rise and rise of American gun cultureNext PostEnergy crisis? What energy crisis? The Scandinavian Corporate tax levels are heading in the right direction. Why the blue blazes should we donate OUR money to foreign companies so that they can buy up more of OUR productive assets at fire-sale prices? Why the blue blazes should we reward the banking and building sectors for making basic housing unaffordable, for ruining irreplaceable near-urban farmland, for putting up grossly inefficient and natural disaster susceptible houses? Increase the tax rate to 50% and if that keeps so-called investors away – good! We cannot have a dynamic economy and sustainable prosperity until we get rid of our addiction to fake investment. 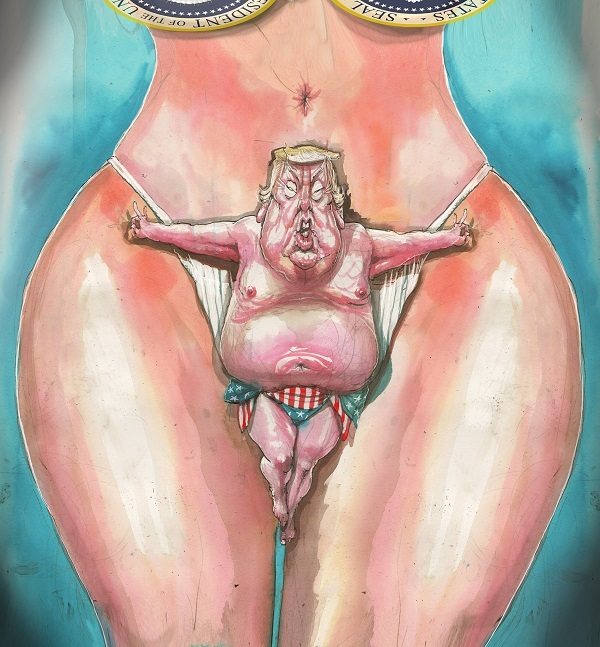 Hawke, Clinton, Trump… There is no evidence that men behaving badly suffer badly in the polls. I seem to remember reading “The theory and Practice of Gamesmanship” by Stephen Potter a long long time ago. Not breaking the rules but just helping the odds a bit. The South Africans are to be applauded for their clever use of these theories in the current test series. Brian, I’m not sure if you got the reference. Why the blue blazes should we reward the banking and building sectors for making basic housing unaffordable, for ruining irreplaceable near-urban farmland, for putting up grossly inefficient and natural disaster susceptible houses? You are forgetting that private is best and big profits will make the world a better place. In terms of affordable housing, developers are going to try and maximize their profits by building expensive houses on the property or at least imposing covenants that will encourage those buying to believe that they are buying into a better class of development. Local governments also insist on high class developments that will pay high rates. Indeed, John Davidson. And the whole economy suffers. Rates of divorce/ separation go up like a rocket and so too do all the costs of these to the rest of society. The opportunity-costs of keeping a small number of people living in undeserved obscene luxury hinder the growth invention, innovation, development as well as calculated risk-taking – with this stupid greed, stagnation becomes inevitable. Add to that all the waste of scarce materials, of fertile farming land (although the Japanese are just as bad at that nowadays), of workers’ time and effort. On top of that is the reinforcement of the fantasy that short-term, expensive profits are better than prudent long-term investments. Plenty to play with there too some really helpful stuff. Geoff, looks as though it’s south of you. Not a severe one, but some have already had more than enough rain. zoot, I didn’t know about the Larry Flynt reference, so thanks. See Wikipedia about the film, which past me by. 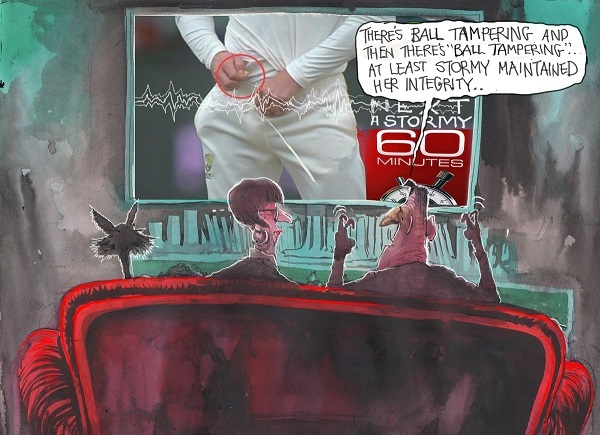 I had the misfortune to watch the ABC’s special Caught Out on ball tampering tonight. The really annoying part was the ABC’s habit of introducing a range of talking heads pontificating without telling us who they were. Someone should tell the ABC that it matters who people are and what perspective they come from when they say something. The worst was when a head that seemed to be put forward as having superior wisdom turned out to be Peter Lalor, cricket writer for the Oz. One of the serious bits they missed out was that Steve Smith as captain doesn’t sleep during a test match. The match commentators on radio in Cape Town (an Australian, again don’t know who he is) said Smith was basically burnt out after the Ashes series. Certainly he failed in the one-day series and had failed consistently in the South African tour. He was too young when appointed, but I don’t think he has the personal constitution to do the job. The other was the program showed no interest in what the South Africans were up to during the series. Susannah Guthrie is right in saying we are overlooking a more significant crime by not paying attention to the vilification of women, in particular Candace Warner, who is now blaming herself for causing all the fuss. How that is at all logical escapes me, but people don’t work by logic. Guthrie accepts that Warner may have said something nasty about Quinton de Kok’s sister and mother. I’d find that astonishing, because he would know how they would retaliate. Kevin Rudd is on the case, reporting that the Americans and Chinese are saying ‘we never thought you Australians cheated at things like this’. Rudd thinks Cricket Australia chair David Peever has brought his ugly Rio culture to CA. He’s probably right, and as ACA president Greg Dyer said in the TV program, culture comes from the top. Indeed Dyer last October called on Cricket Australia to review its ‘behaviours’. Gideon Haigh thinks the aggressive, jingoistic approach has been fostered by the top boys at CA. 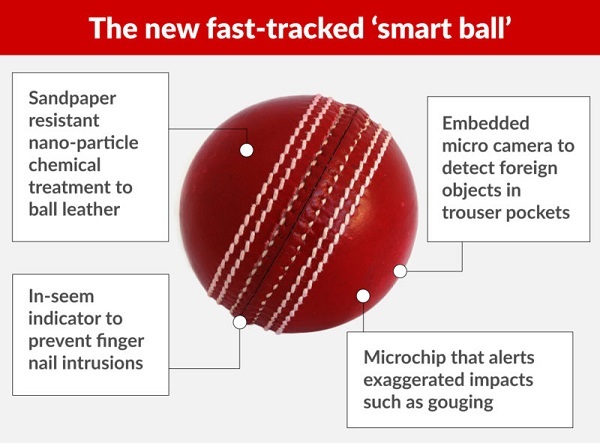 The fast-tracked ‘smart ball’ looks like an excellent April Fools Day joke to my untutored eye. All power to the writers. When I was approached by the Climate Council to pay to protect the reef, I said “the reef is doomed by current policy makers”. I will contribute to a process that holds every politician accountable for their views and requires them to reveal the information sources from which they formed those views. Accounts don’t lie, neither does science. Evidence shows increased gun ownership correlates with increased crime. That would logically mean the top 35 Countries on the list have the highest crime rates and the bottom 35 the least. Also applying this method ( compare 5% on both ends of the spectrum ) to American States or Cities. Jump seems to have under-capitalised and become jumpy. But jumpy appears diminuitive and frisky. How may we account for the changes? Different device Bro, it’s a little bit too breezy and moist to use the iPad on the back patio. Oh for the days when words and names, slippery little devils that they are, were not ‘device-dependent’! I must hasten out to buy some more typewriter ribbon and fresh quills…..
Read the article (and take it up with the author if you disagree, don’t shoot me, I’m just the messenger). 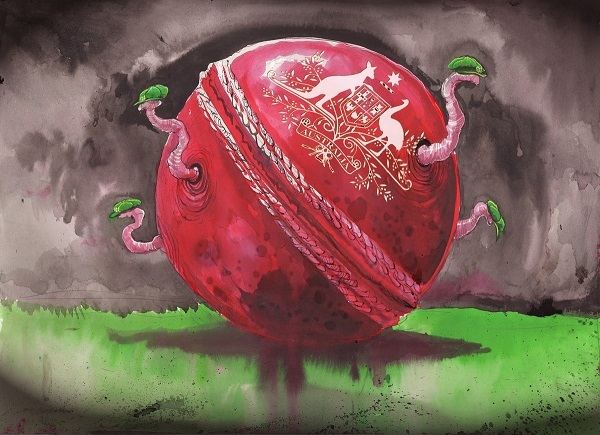 Just a thought: has enoumus damage been done to the iconic emblem of fairness “It’s just not cricket”? I rather think so because if someone said that in a conversation now there would probably be sniggers all around. I’ll not argue with the author who obliviously won’t change her mind. She was biased to start with and reinforced that bias. Or you for the same reasons. What I will do is relegate ( so called ) “ Scientific American “ to the dustbin of dishonest publishers with CNN and Fox. Gun phobia causes rejection of obvious logic. Ah yes Jump(y) never mind the evidence, everybody with a conclusion you don’t like obviously lacks your clear eyed, unbiased objectivity. Jump/Jumpy, sometimes I’m a bit slow, but I gather that you are using two different devices to access the internet. If so you don’t need to change your moniker. In fact the software looks at three elements – your moniker, your email address and your IP address. As far as I can see, your IP address is the same (IP= internet provider) so there was never any problem. Generally speaking it is best to have only one moniker, so it can be either Jump or Jumpy now, the software in now cool with both. I hope to get back to blogging later tonight. Thanks Brian, I didn’t even realise. I’ve use both at different time for ages. The avatar is the same regardless and it’s all off the same modem thing. I don’t think it confuses anyone but Mr A has a keen eye. 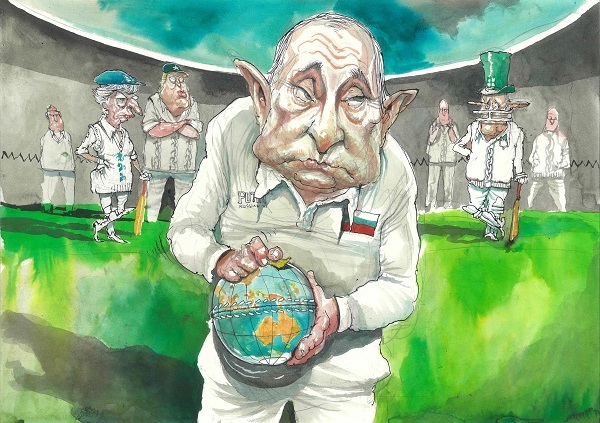 The cheating cricketers were merely reflecting, in their own small way, the accepted and applauded standards of behaviour of Australian businesses and public administration in 2018. I do like Taylor’s suggestion of a Red Card system for cricket umpires. I also like the Smart Ball; how about including an ultra-miniature speaker so that bowler or wicket-keeper can be advised, “Watch out, stupid, eleven TV live-broadcast cameras are focused on that thumb right now!”? Anyhow, how did the Big Beaut Brisbane Bahnisch Bash go? Can understand your frustration but don’t give up hope. 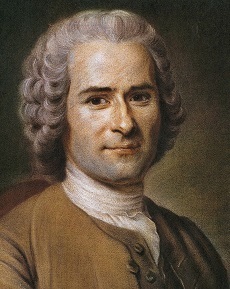 Though bothering with politicians is a waste of time; they’re merely obedient employees with a keen desire to have their employment contracts or whatever renewed; it’s probably more worthwhile to concentrate on those with personal influence in your own circle and then working outwards to more people with influence. Mind you, Planet Earth might be in melt-down and drowning before the groundswell from the general public overwhelms the pollies and their foolish masters. zoot reported that increased gun ownership correlates with increased crime rates. 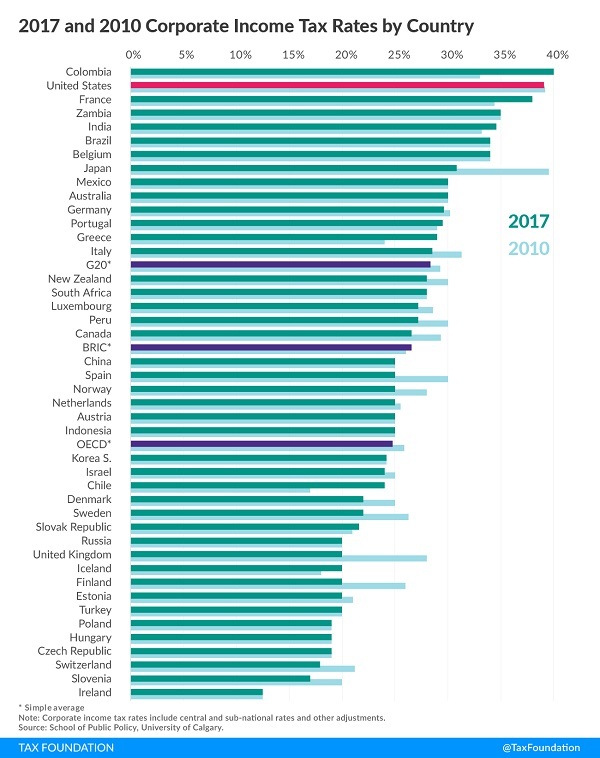 It doesn’t imply that the list of nations ranked by gun ownership rates will have exactly the same order as the list of countries ranked by crime rate. It means there will be a tendency for the two to be associated. For instance if country A is in the top 20% by crime rate, it’s more likely to be in the top 20% by gun ownership, than in the lowest 20%. But not certain. Just more likely. The higher the “correlation coefficient”, the stronger the association. If you’re interested, you could start with “scatter plots” and then a description of the meanings of low correlation and high correlation. You will not need to learn any algebraic formulas or precise definitions. Sorry Mr A, correlation suggests association but does not equal causation. If the amount of instances suggesting associated correlation is less for the opposite end of the spectrum associated correlation then the best zoot has is a null hypothesis. Looking beyond the click bait headlines ( in this case the publisher completely changed it ) that google gave due to ones search history is probably a better strategy in finding closer to the truth. How did the Big Beaut Brisbane Bahnisch Bash go? Some of us are not spring chickens, and as I bid farewell to my big sister, there was a definite feeling this was probably the last time. On cricket, Ambi is probably right about the new ball. They jut said ‘scientists in Melbourne’ so you couldn’t check anything. Scientists in Melbourne probably have better things to do. Smith and Bancroft have said that they won’t challenge the penalties. I’d like to see Warner have a crack. It could end up like being a royal commission into how the game has been played. The South African commentary team has been giving me the irrits. So complacent and unquisitive (if that’s a word) about what their team has been up to. Opening bat Dean Elgar said “nice guys come second”, and then went on to say that he likes it when Australian players get stuck into him, because it stirs him up. Groote Eylandt in the seventies had an impressive murder rate even though none of the murders were done by guns. Spears, axes, screwdrivers and scissors were among the weapons that were responsible for some of the murders that I was aware of. So I guess Jumpy could use Groote Eylandt to support his argument that you don’t need guns to have a high murder rate and the key thing was to have a culture where men fought with weapons rather than fists and where killing people for a variety of reasons was acceptable in the not so distant past. While I think guns are part of the US problem I would suggest that fatal violence was/is far more part of the culture than it was in Aus. Similar situation in a certain part of the New Guinea Highlands back before Independence. The Kiap there had to deal with a murder a month; almost invariably to do with pigs (= traditional high-value currency and temporary store of wealth) and women. Really nice people, you couldn’t meet finer – but there didn’t seem to be many books on dispute resolution in that valley. Around here nowadays, we are awfukky sophisticated and educated so we don’t reach quite that rate – mainly because black bows and unfletched arrows are in short supply, (knives are all the go here), and because the paramedics do a terrific job stabilizing the casualties before they get to hospital. Motives: drugs, money, drugs, women, drugs, domestic violence and more drugs. Can’t say I’ve heard of anyone murdered over pigs this last month though. GB, having coined this cool new term “awfukky” can you please help us with its full meaning and how it is best used in sentences. I for one intend to use it regularly once I’ve got a full grasp on its potential. If you google “new guinea recent violence” it is a sad experience with violence of every kind. It all swings back to greed and ego. I didn’t claim “causation” and neither did z. Association is as much as we can hope for in complex situations, such as societies and comparisons between nations of vastly different histories and habits. In fact, association is often also the best our data can give us in “scientific” contexts. A Federal MP who has technical expertise in statistics, particularly social and economic statistics, has recently published a book about correlation and public policy successes. I look forward to reading it. Will let you know the title when I recall it. Or someone else will. Then again, you may not care. Andrew Leigh is the Federal Member for Fenner, and was before election to the HoR, a Professor of Economics at ANU. Ambi John Hewson was also a professor, of economics too I think. Seems like the author went to considerable effort researching past Australian weather and climate records and linking them to climate change and anthropogenic influence. British prime minister Wilson was an honors graduate in economics. Stuffed the UK economy by pointing out that the UK had an economically undesirable trade deficit for a long , long time, and, to make things worse, tried to fix it! We might do better if economics was part of the sociology dep. Violence is often prevalent in cultures that are too small to have governments and police. This means policing is DIY with your best protection obligation systems that remind those tempted to kill you that you have rellies and friends that are obliged to impose payback if you are attacked. Problem is that payback for payback can stretch over a long , long time. I don’t argue that all profs of economics or former profs of that ilk are infallible. In this instance Mr Leigh is advocating empirical research, rather than pushing a narrow or blinkered theory . BTW my favourite anecdote about non-experts comes from the very early days of the new Fidel Castro govt. Fidel at a noisy meeting of his leading comrades called out, “Is anyone an economist?” Sr Guevara misheard, thought Fidel was asking if anyone was a communist. He called out, “Yes!” and was appointed Finance Minister on the spot. But how amateurish was that??? Empirical you say? That’s fine as long as we are careful with our distinction between correlation and causation. Mr A the theory that “increased firearm ownership correlates with increased crime “ is incorrect in a global sense. I beg anyone to find a list of crime rates buy Country that correlates, associates with, shares a vibe or slightly resemble if you squint and look from the very edge of your vision. the theory observation that “increased firearm ownership correlates with increased crime “ is incorrect in a global sense. But has been demonstrated in the USA. You are quite right to emphasise the difference between correlation and causation. Zoot posits that increased firearm ownership correlates with increased crime in America. That would be easy to demonstrate with 2 simple lists. One list ,from highest to lowest , of firearm ownership rates Per Capita by State. And one list, from highest to lowest, of crime rates Per Capita by state. As he’s so confident he could rub my nose in it and put them in graph form. Have you heard of “scatter plots”? They are so much more informative than your parallel lists suggestion. zoot linked to an article in Scientific American which examines the available evidence and finds it does not support the NRA’s assertion that more guns in a community make that community safer. On a serious note though, it is so sad that a nation that had such a wonderful future ahead of it, should now be so afflicted with violence. lyrics from “West Side Scorey”, a popular stage musical of gang violence and teenage romance. Ambi Westside was great when I was a kid. I wonder what Trump would make of it now. GB that is how so many great inventions are discovered, just a slight shift to the left or right, and I love the sentence. Still chuckling. Yes, PNG, I grieve. The Papuan people are wonderful (its hard to find adjectives that Trump has not diminished to insult level) and I admire them very much having grown up in Port Moresby as a kid. Maybe this phase of their growth as a nation is a natural process. The fury before the calm? In the “we’re screwed” vein, please come up to speed on where Global Temperatures are headed…. We don’t have time for politicians to come to their senses. 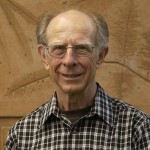 Here is the latest news on what is happening in the Arctic and around the Globe generally….. http://arctic-news.blogspot.com.au/ ….. as reported by a dedicated team of scientists from around the world. If you as the Prime Minister of this country ignore this information and the volume of distress coming from the Global Scientific Community then, in my understanding, you have failed in your duty of care to the Australian people, and you are moving into criminal activity for which you and your cabinet will be held accountable in the near future. There is zero excuse for the fossil fuel oriented policy set that the Liberal Party have embarked upon in a country the size of Europe with just 24 million occupants and optimally positioned for the harvesting of solar energy. The LNP constant jibes that high electricity prices are everyone elses fault are an insult to the intelligence of all Australians. The responsibility for the doubling of electricity prices falls squarely upon ex Prime Minister Tony Abbott, but also on the LNP as a whole for elevating some one so unsuitable for the role of leading this once wonderful country. Everything that followed his elevation to the leadership of the LNP party was an insult, and there are those who have logged that process and can quote it back chapter and verse. 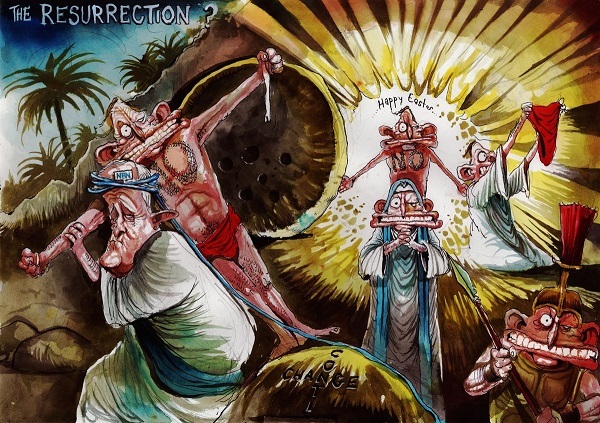 I for one have the abominable Parliamentary behaviour of the Abbott front bench burnt into my memory. That was not “politics”, that was outright aggressive bullying that would in any public place in Australia have been treated as criminal assault. With all of the lead time to take responsible action on Global Warming and Climate Change (no they are not the same thing : one is the consequence of the other) consumed by the foot dragging of John Howard and then the shear belligerent self serving obstructionism of Tony Abbott you now have the responsibility to accelerate actions to decarbonise Australia’s energy sector. To fail to do this is a dereliction of your sworn responsibilities to the Australian public. BilB (10:37am): Good one! I’ll shout you the stamp – and the envelope too. Cheers.